A new battery charger that will fit 2 AA batteries inside and charge any USB devices is set to be released in Japan this December. The new device which is manufactured by Sanyo is called the Eneloop Stick Booster and is basically a tube where 2 AA batteries fit inside. This can then be used to add power to any USB device on the move such as mobile phones, portable gaming device and audio devices. Sanyo starting developing the device in November 2006 and are expected to continue to improve and develop the ‘Eneloop Universe’ product range in the future. 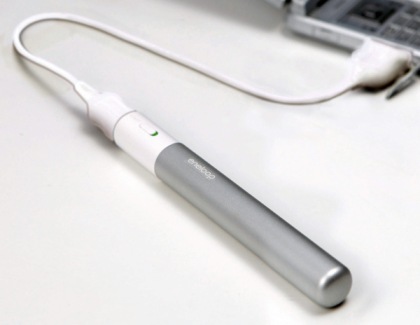 The Eneloop stick booster will be available in Japan on December 1st 2009 and elsewhere in the World when the company sees fit.